Colin Kaepernick Lands $1 Million Book Deal - Joe.My.God. Colin Kaepernick has inked a book deal worth just over $1 million with Random House imprint One World, Page Six has exclusively learned. One World’s headed by book world superstar Chris Jackson, who also publishes Jay-Z and Ta-Nehisi Coates. He launched One World last year. 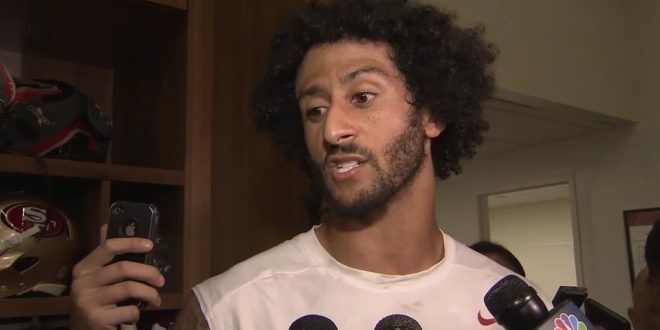 Ex-San Francisco 49ers quarterback Kaepernick launched the current movement of NFL players protesting during the national anthem, and he’s recently filed a controversial collusion grievance against league owners. He’s still looking for a job in the NFL after opting out of his 49ers contract earlier this year.